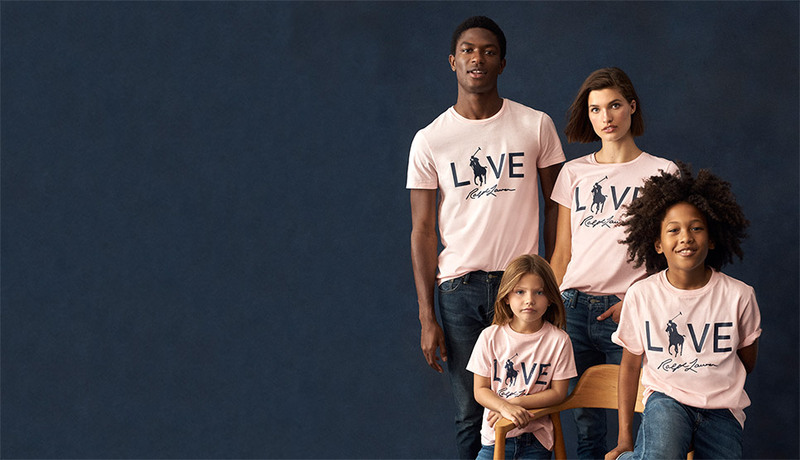 Launched in 2000, the Pink Pony Campaign is Ralph Lauren Corporation’s global initiative in the fight against cancer. Originally focused on breast cancer, the Pink Pony Campaign designated a pink version of the iconic Ralph Lauren Polo Pony as its symbol. Over time, the campaign has expanded its mission to reduce disparities in care across a wide range of cancers. To ensure quality cancer care for underserved communities, the Pink Pony Campaign supports patient navigation programs. These services help guide patients through each stage of care—from screening and diagnosis to treatment and recovery. The Pink Pony Campaign is supported by personal donations, corporate partnerships, and Pink Pony product sales. 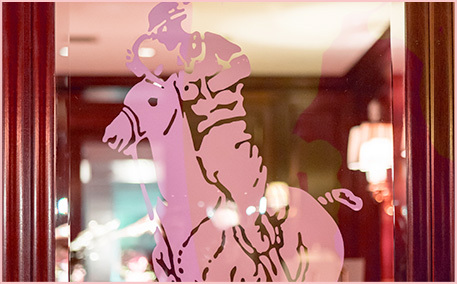 In the United States, through The Polo Ralph Lauren Foundation, the Pink Pony Fund provides grants to cancer centers and research organizations, including Memorial Sloan Kettering Cancer Center, the Breast Cancer Research Foundation, the Nina Hyde Center for Breast Cancer Research, the Moses H. Cone Memorial Hospital, the Harold P. Freeman Patient Navigation Institute, the University of Chicago Cancer Research Foundation, the Martin Luther King Jr. Outpatient Center, and the Ralph Lauren Center for Cancer Care. Internationally, Pink Pony supports more than 20 cancer charities, including The Royal Marsden Cancer Charity, La Asociación Española Contra El Cáncer, Fondation Gustave Roussy, Hong Kong Cancer Fund, the Japan Cancer Society, and Cancer Australia. When you purchase from the Pink Pony collection, 25% of each item’s purchase price is donated to Ralph Lauren’s fight against cancer. 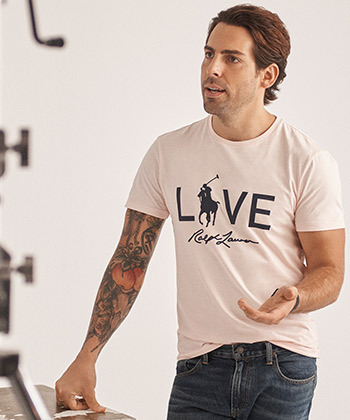 One hundred percent of the purchase price from the sale of each “Live Love” light pink T-shirt will be donated to the Pink Pony Fund of The Polo Ralph Lauren Foundation or to an international network of cancer charities. 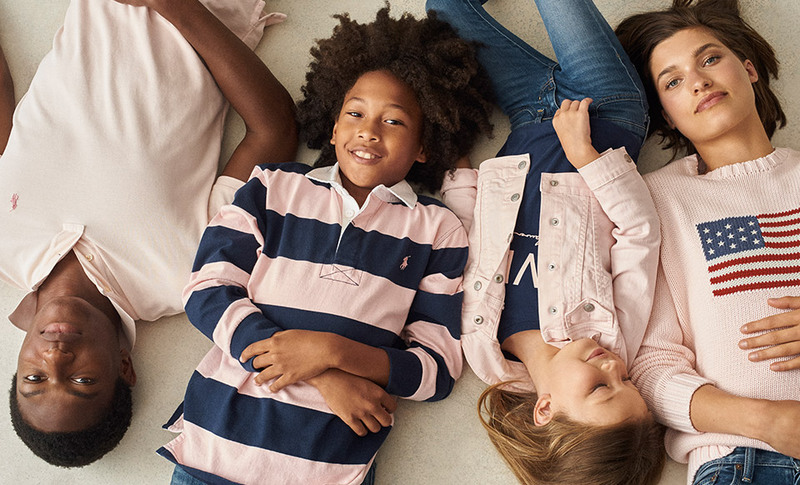 Globally, 25% of the purchase price from the sale of each item in the Pink Pony collection is directed to an international network of cancer charities; within the United States, proceeds benefit the Pink Pony Fund of The Polo Ralph Lauren Foundation. Ralph Lauren has been committed to the fight against cancer for more than 20 years. 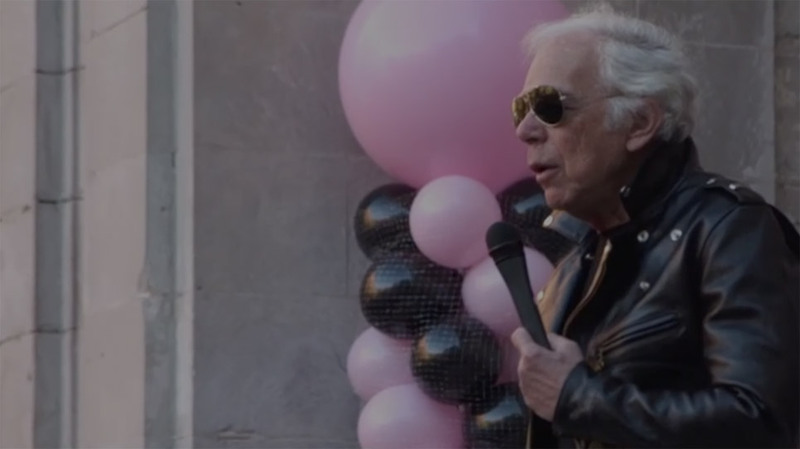 Long recognized for his early leadership in the fight against breast cancer, Ralph Lauren, made a personal and corporate commitment to finding a cure for this disease. In the late 1980s, he was moved to respond when close friend and Washington Post fashion editor Nina Hyde shared her breast cancer diagnosis with him. As a tribute to that friendship, in 1989, he co-founded together with Katherine Graham, late Washington Post company president, the Nina Hyde Center for Breast Cancer Research at Georgetown University. "Breast Cancer is not just a women's issue," says Lauren. "It affects all of us – the husbands, fathers, brothers, children and friends of the women dealing with this dreaded disease." His vision helped mobilize the fashion industry to take a stand against breast cancer. 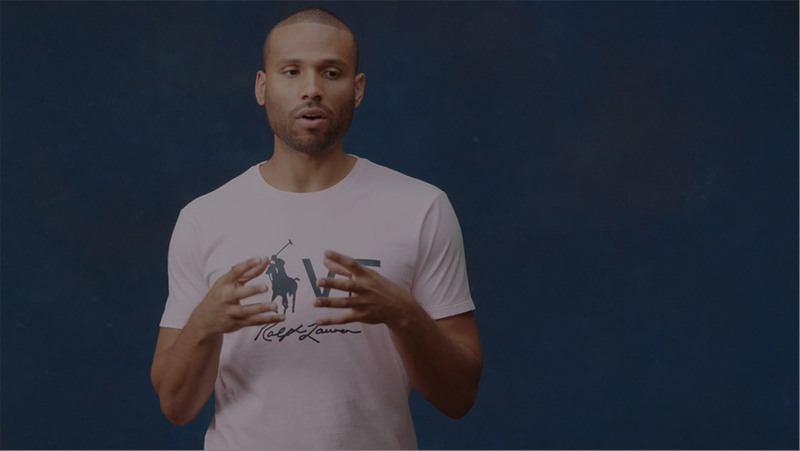 He designed the first logo for the Council of Fashion Designers of Americas successful "Fashion Targets Breast Cancer" international awareness campaign. Continuing his efforts, in 2000, he designated his classic icon in pink to the Pink Pony Campaign, a worldwide initiative in the fight against cancer. Pink Pony supports programs for screening, early diagnosis, treatment, education and patient navigation with the mission is to reduce disparities in cancer care and ensure that access to quality treatment is available to everyone at an earlier, more curable stage. 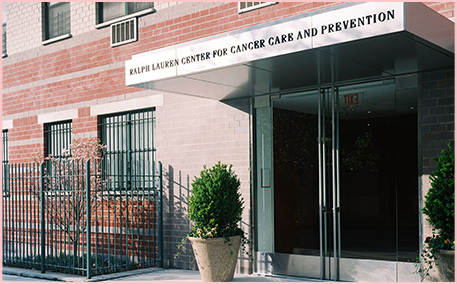 The Ralph Lauren Center for Cancer Care and Prevention is a community based Center for the prevention, diagnosis and treatment of cancer through new models of patient care, research, education and outreach designed to address the unique needs of the community. The Center, made possible by a generous gift from the Ralph Lauren Corporation, is a partnership with Memorial Sloan-Kettering Cancer Center. Since 1884, Memorial Sloan-Kettering Cancer Center has been dedicated to improving the understanding and treatment of cancer. Their dedicated team of professionals is committed to providing the best cancer care possible. Find out everything about this leading cancer care center on their website. The Susan G. Komen Foundation is dedicated to eradicating breast cancer as a life-threatening disease though advancing research, education, screening and treatment. On their website, find cancer news, information, survivors' stories and tools, including videos about breast self-examination. This is the first and largest organization dedicated solely to clinical and / or genetic research in breast cancer. The mission of The Breast Cancer Research Foundation® is to achieve prevention and a cure for breast cancer in our lifetime by providing critical funding for innovative clinical and translational research at leading medical centers worldwide, and increasing public awareness about good breast health. Currently, over 90 cents of every dollar donated goes to breast cancer research and awareness programs. The National Cancer Institute coordinates the National Cancer Program, which conducts and supports research, training, health information dissemination, and other programs with respect to the cause, diagnosis, prevention, and treatment of cancer, rehabilitation from cancer, and the continuing care of cancer patients and the families of cancer patients. This government site of the National Cancer Program presents information on all kinds of cancer.